Skin resurfacing can be the ideal answer for people suffering from skin problems, such as poor skin tone, rough skin texture, large pores, acne scars, hyper-pigmentation, sun damage, and many other issues. This minimally invasive treatment is done on site in the Ritz Med Spa facility in Franklin, Tennessee, so if you want a major skin change without surgery this may be the answer. Both ablative and non-ablative skin resurfacing are available so call to schedule your treatment. Laser skin resurfacing delivers highly focused beams of light and intense heat to resurface the skin, reducing fine lines and wrinkles, sun spots, scars, sagging lax skin, small blood vessels, and other skin concerns. This type of skin resurfacing stimulates the body to start making new collagen. This means that over time the deeper facial folds and scars will be filled in. For moderate to severe skin issues, Ritz Med Spa uses an ablative laser system called the SmartSkin CO2 Fractional Micro Ablative Laser. For mild to moderate skin concerns, Ritz Med Spa uses a non-ablative laser system called the Icon 1540 Fractional Laser. The Ritz Med Spa team is happy to help you choose the right type of skin resurfacing for your needs. How Does the SmartSkin Treatment Work? The SmartSkin laser sends a series of highly focused small lasers into the skin. This effectively targets dead and damaged skin. The body's own natural healing abilities will then kick in to allow fresh and healthy new skin to take its place. As the fresh skin is revealed, the collagen production is taking place deep under the skin as well. Most patients need only one SmartSkin treatment. However, if desired you can split the treatment up into two or three different sessions. What is Recovery After SmartSkin Treatment Like? Your skin will feel quite warm and will be red after treatment. Some amount of minor bleeding and swelling is normal. You may need some downtime to properly recover from SmartSkin treatment, with five days being an average recovery time. 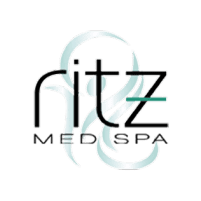 Each case is different, so the team at Ritz Med Spa is happy to help you plan your recovery. What is Non-Ablative Skin Resurfacing? Non-ablative skin resurfacing is a laser skin resurfacing that corrects skin problems like large pore size, fine lines, and minor acne scars. Non-ablative lasers don't actually remove skin tissue like ablative lasers do, but they can still be effective for many skin problems. Non-ablative skin resurfacing is done over a series of treatments, so results take longer to achieve. The Ritz Med Spa team is happy to help you choose the right type of skin resurfacing for your needs. What is Non-Ablative Skin Resurfacing Recovery Like? One of the major advantages of non-ablative skin resurfacing is that it doesn't require any downtime. You'll need to avoid the sun and harsh chemicals on your face, and it's important to use good moisturizers to protect your skin as you heal. You can generally go back to your routine whenever you're ready.